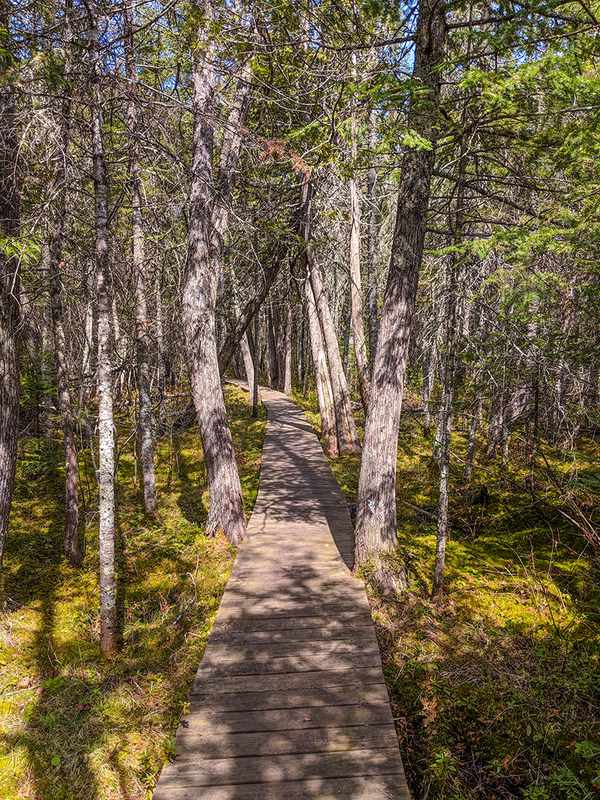 The Brule Bog Trail is an easy 2.3-mile section of the North Country National Trail. 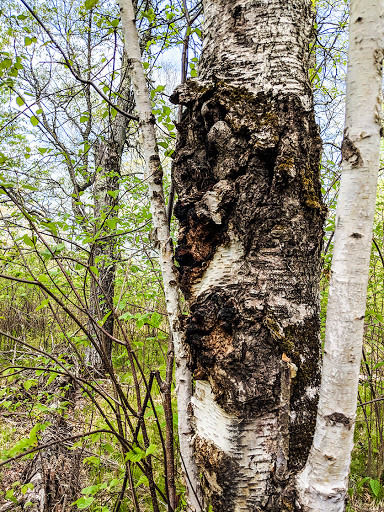 It crosses the Brule Glacial Spillway State Natural Area in a long arc on boardwalks most of the way. 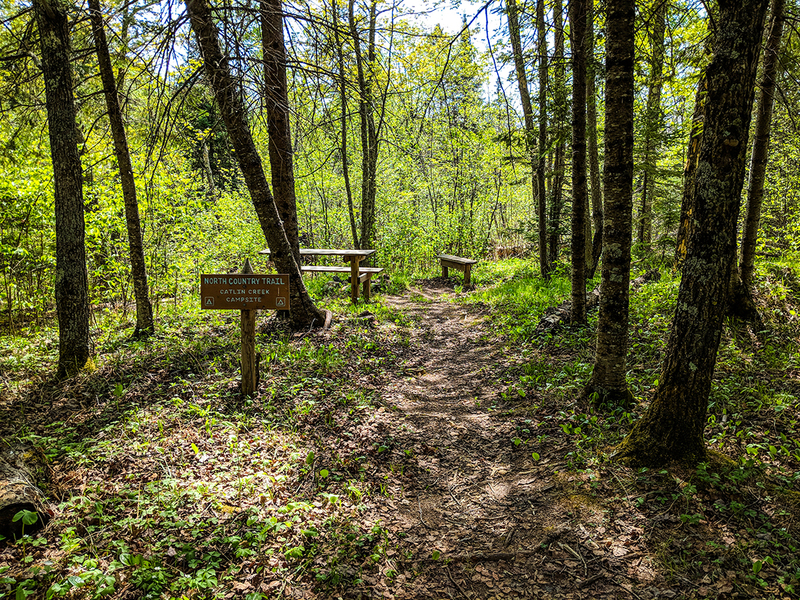 This section connects directly to the Brule-St. Croix Historic Portage Trail and connects via roads to Lucius Park in Solon Springs. The best parking for this trail is at the boat launch on the north end of Upper Lake St. Croix. There is a campsite at Catlin Creek for long distance hikers. The Brule Glacial Spillway is a continental divide. 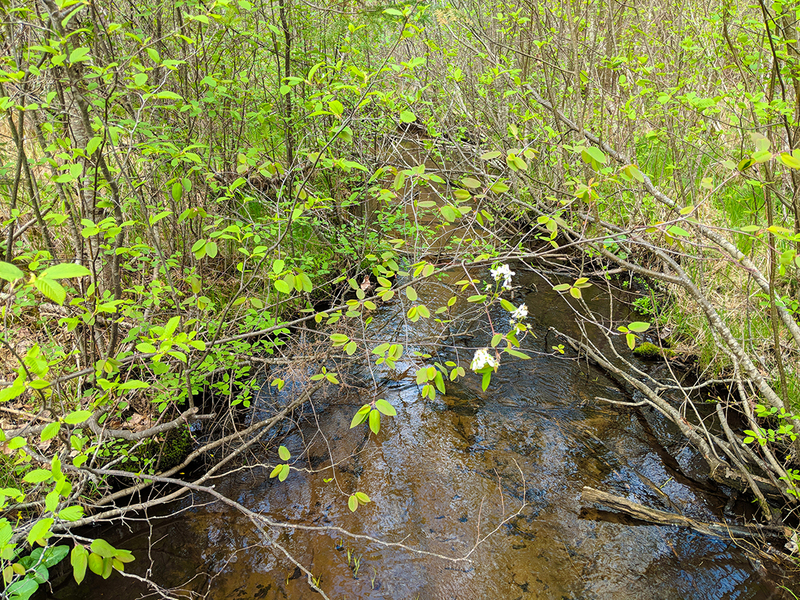 Both the headwaters for the Bois Brule and St Croix Rivers originate here. 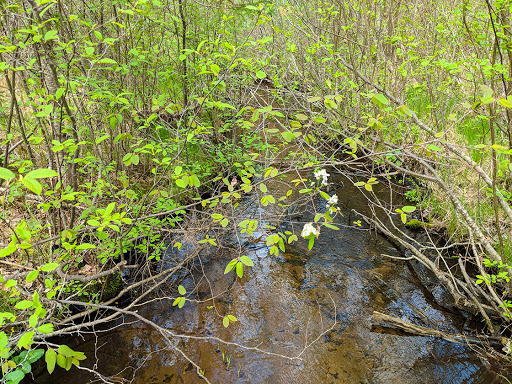 The St. Croix flows south to the Mississippi River and on to the Gulf of Mexico; the Bois Brule River flows north to Lake Superior and ultimately out the St. Lawrence Seaway. Hikers along the Brule Bog trail cross St. Croix Creek before entering the heart of the Brule Bog. 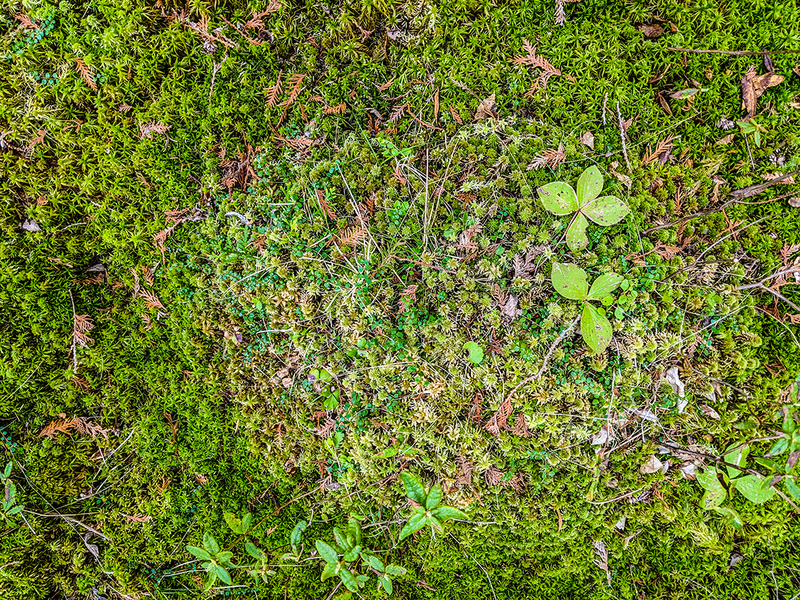 The bog is an area of wetland suspended between the soft peat soil and an upper layer of dense organic entanglement. 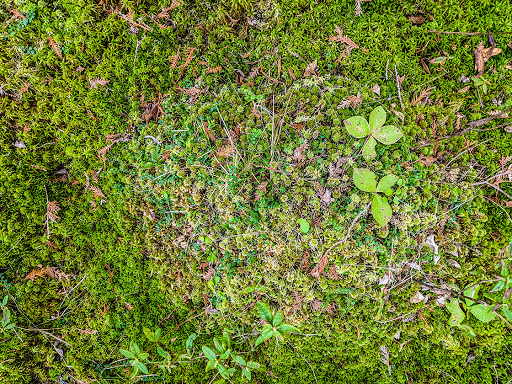 The water and soils are highly acidic and only plants that can thrive in shade and acidic conditions can thrive here. 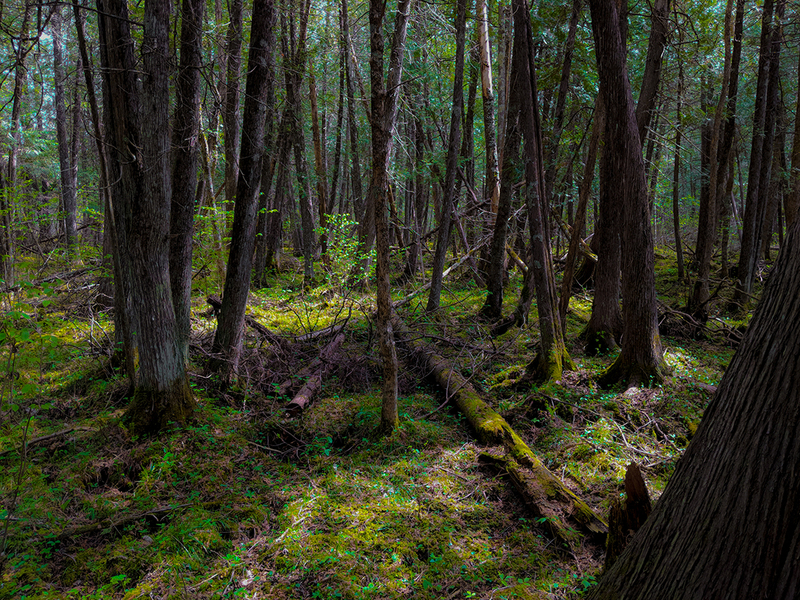 The Brule bog is dominated by white cedar trees, mosses, and ferns. The spongy layers of peat retain water and regulate the flows of the Bois Brule River. 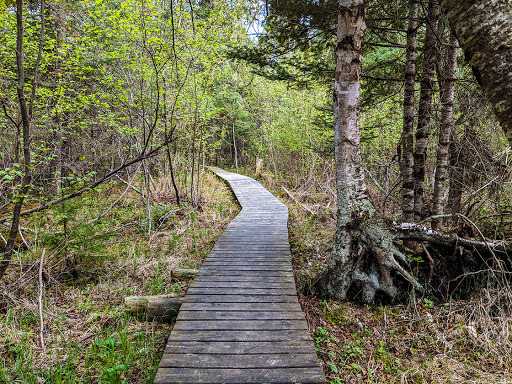 Due to this spongy earth, almost the entire distance of this trail is elevated on a boardwalk that twists and turns through the dense cedar forest. This makes the trail a very easy and flat walk that is a breeze for anyone to hike in all seasons. Day hikers tend to begin this trail at the Lake St Croix boat launch where there are restrooms, picnic areas, and an artesian well. A white-blazed connector trail leads to the trailhead. 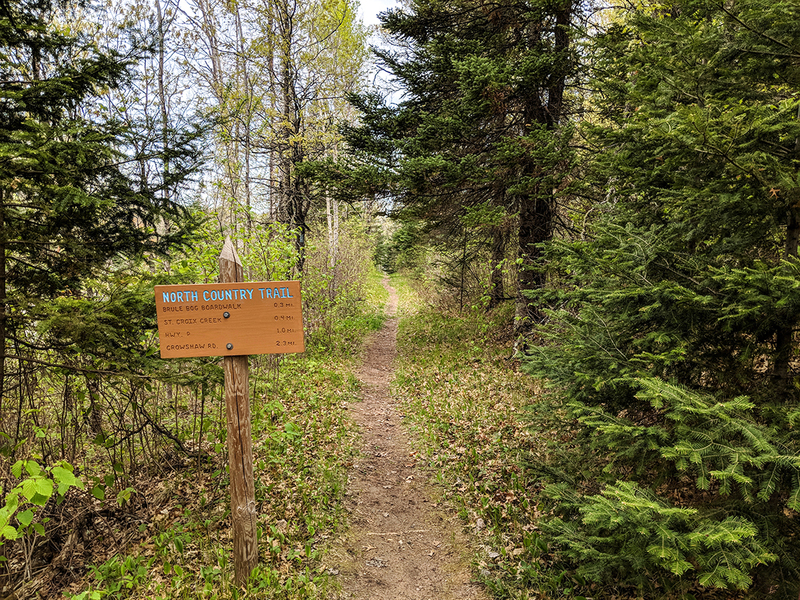 The North Country Trail is blazed with blue rectangles. The trailhead is for both the historic Brule-St. Croix Portage section and the Brule Bog section. The Brule-St. Croix Portage is the route that was used by voyageurs to portage between the Bois Brule and St. Croix Rivers since 1680. If viewing on a mobile device, open the trail map above to load into Google Maps App by touching the expand rectangle in the upper right corner. 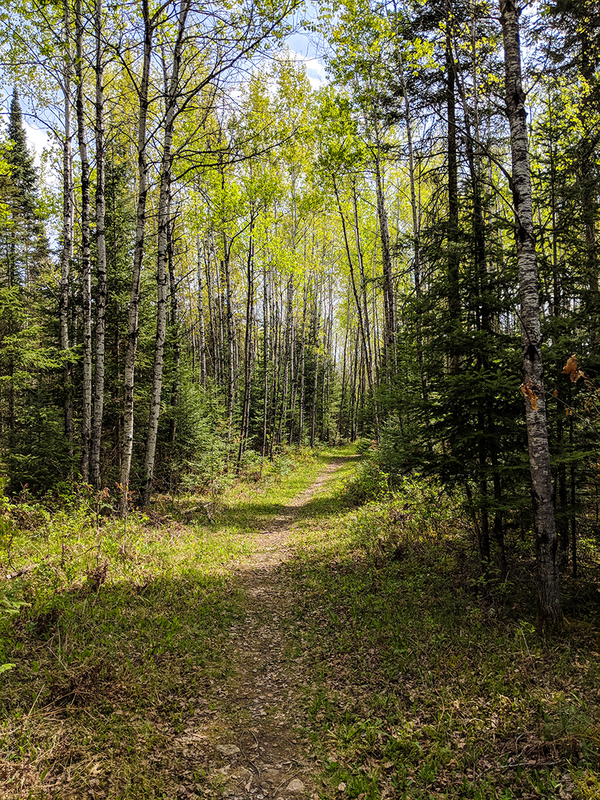 This post is a directory of the North Country Trail in Wisconsin. 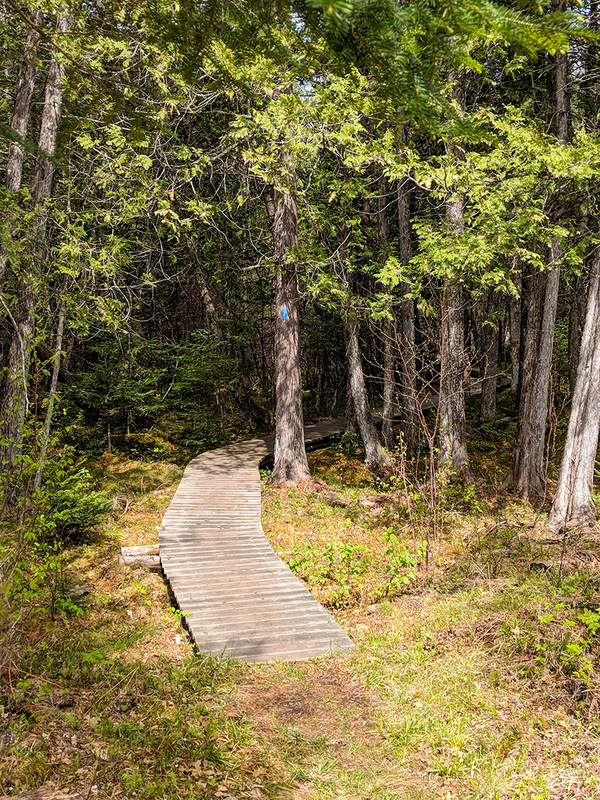 It includes an interactive Google map of the Wisconsin portion of the trail with connecting route roads including camping, lodging, resources available. 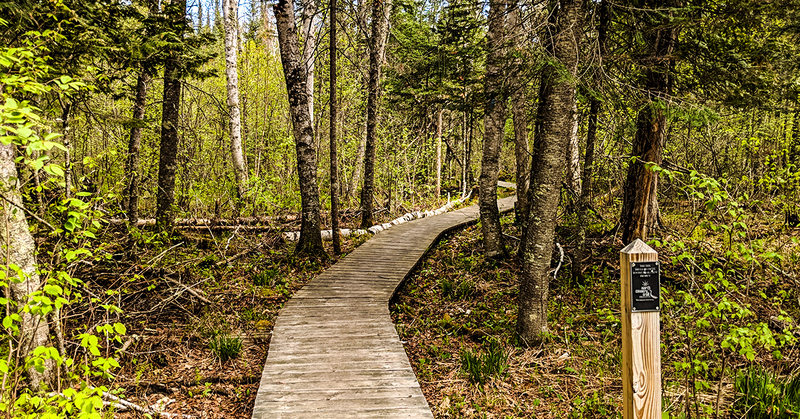 A directory of favorite hiking trails found throughout the state.